This hillside condominium home features Nano doors which fully open to create large open spaces. Full height stainless steel backsplashes and reeded glass inserts in cabinet doors combine to create a modern kitchen. Bathrooms include radiant heat floors, handmade glass, mosaic tile and polished nickel sinks. 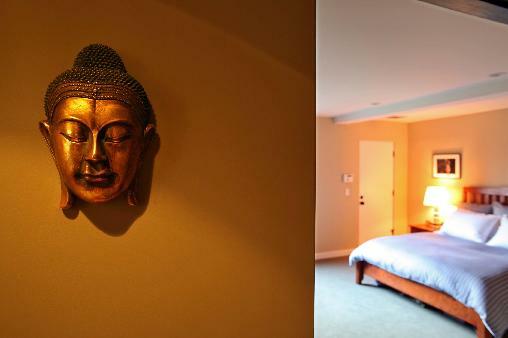 A meditation room was outfitted with fully upholstered walls to result in a soft and quiet space.